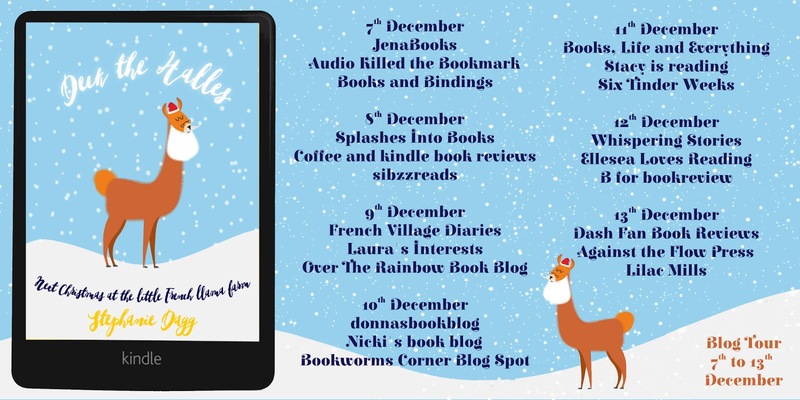 Welcome to my stop on the blog tour for Deck the Halles by Stephanie Dagg. 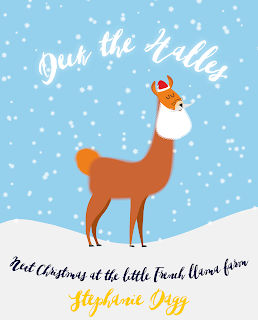 Set on a French Llama farm, it offers a different take on a festive read. 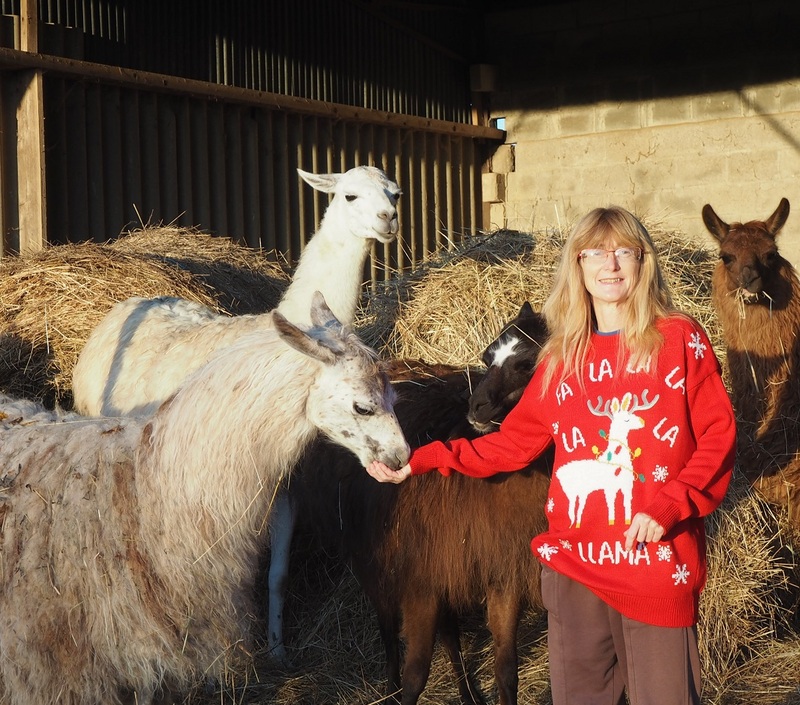 It’s next Christmas at the little French llama farm. Last Christmas infamous Australian author Nick bought the farm, that was meant to be furnished and without llamas. The reverse proved to be the case. Noelle had been sent to pet sit the llamas until his arrival. After a decidedly frosty start, Nick and Noelle’s relationship warmed up rapidly and they’re now happily living together, with an ever growing assortment of animals. They’re looking forward to a quiet, romantic Christmas together but at the last moment Noelle is called on to find a venue for the annual national llama show. The local agricultural halles are free so she books them, thinking that’s all she’ll have to do to help. She couldn’t be more wrong! On top of that, various relatives start turning up on her doorstep unexpectedly, as the result of assorted crises. The farmhouse is about to burst at the seams. 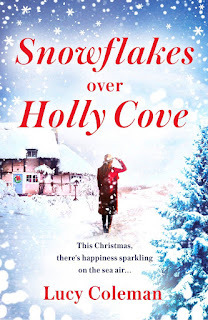 Add in a few other events, such as playing the part of a pixie at a Christmas fête, organising Nick’s book launch and training a non-cooperative llama for the agility class in the show, and Noelle is pushed ever closer to the end of her tether. Can she hold it together and stay as calm as a llama? Or will she be the next member of her family to make a bolt for pastures new? 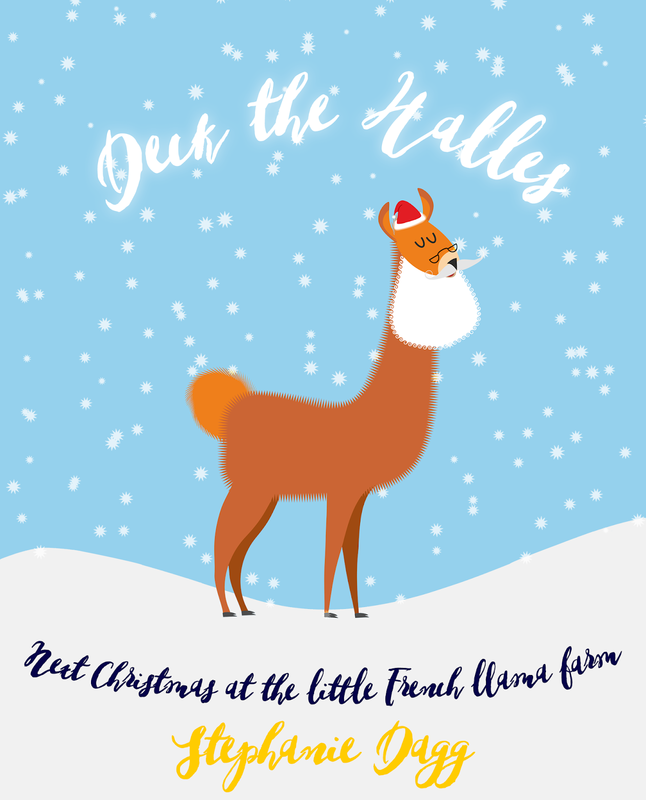 This festive, feel-good and fun novel is the sequel to ‘Fa-La-Llama-La: Christmas at the Little French Llama Farm’ but can be read as a standalone. This is a fun, festive read with the added bonus of llama goings-on! I thoroughly enjoyed finding out about Noelle and Nick's life in France and found this to be a quirky, humorous story full of eccentric characters and unexpected events. The llamas steal the show towards the end of course. Noelle and Nick have an easy going relationship which is just as well given the various family members who turn up on their doorstep. Noelle comes across as a kind hearted young woman who always tries to do her best, despite everyone else. 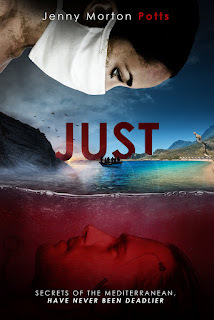 This is a feelgood story which keeps your attention throughout with its well paced storyline. It's a little out of the ordinary and just right for the run up to Christmas. 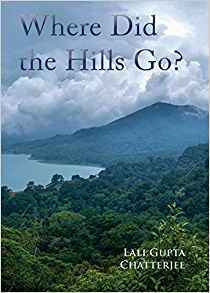 In short: A warmhearted concoction of family, friends, romance and animals. I'm an English expat living in France, having moved here with my family in 2006 after fourteen years as an expat in Ireland. I now consider myself a European rather than 'belonging' to any particular country. The last ten years have been interesting, to put it mildly. Taking on seventy-five acres with three lakes, two hovels and one cathedral-sized barn, not to mention an ever increasing menagerie, makes for exciting times. The current array of animals includes alpacas, llamas, huarizos (alpaca-llama crossbreds, unintended in our case and all of them thanks to one very determined alpaca male), sheep, goats, pigs, ducks, geese, chickens and turkeys, not forgetting our pets of dogs, cats, zebra finches, budgies , canaries, lovebirds and Chinese quail. Before we came to France all we had was a dog and two chickens, so it's been a steep learning curve. I recount these experiences in my book Heads Above Water: Staying Afloat in France and the sequel to that, Total Immersion: Ten Years in France. 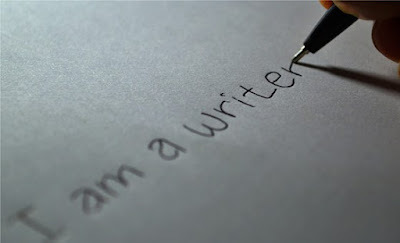 I also blog regularly at www.bloginfrance.com. I'm married to Chris and we have three bilingual TCKs (third culture kids) who are resilient and resourceful and generally wonderful. I'm a traditionally-published author of many children's books, and am now self-publishing too. 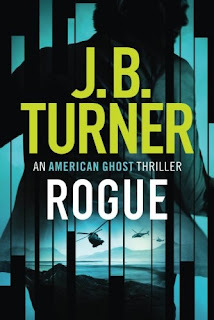 I have worked part-time as a freelance editor for thirty years after starting out as a desk editor for Hodder & Stoughton. Find me at www.editing.zone. The rest of the time I'm running carp fishing lakes with Chris and inevitably cleaning up some or other animal's poop. You can read my review of Stephanie's Haircuts, Hens and Homicide here. Thanks to Stephanie Dagg and Rachel of Rachel's Random Resources for a copy of the book and a place on the tour. Check out these other great bloggers!